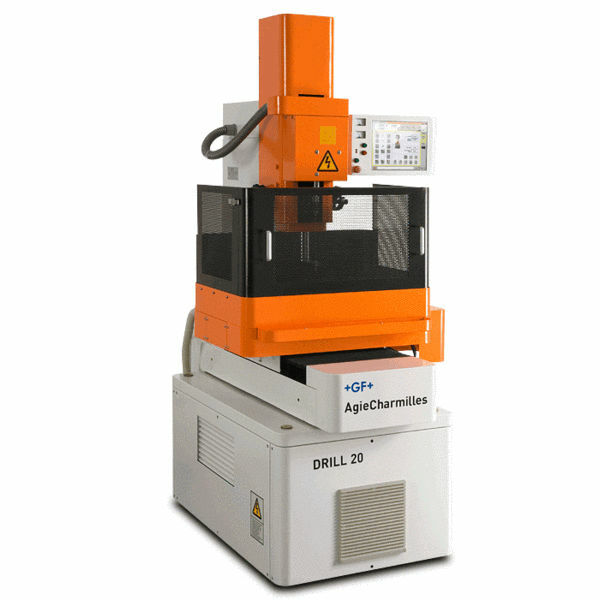 The DRILL 20 from GF Laser Solutions provides quicker installation with the operator console controlling the process monitoring and development. Also, the X-, Y-, and Z- axes have 300 x 200 x 300mm travel passages, and there are diverse touching cycle options for set-up convenience. Moreover, data input is straightforward and operation applicability is wider due to CNC-operated X, Y, and Z, axes. The settings are automatically defined by piece material, height, and electrode diameter, and the touching cycles can be configured with a small number of commands.